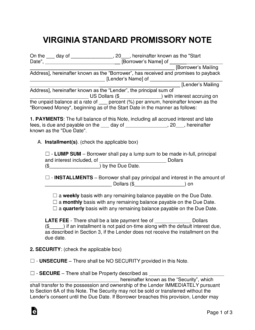 The Virginia promissory note templates are signed promises requiring the borrower of a monetary balance to reimburse a lender in a timely and structured fashion. The notes include many sections covering areas that include late fees, payment types, interest rates, and many other important areas. Secured Promissory Note – Includes security, which provides the lender with a layer of protection if the borrower defaults on the balance. In the template, the borrower will be required to enter an item such as a home, vehicle, or boat that will help cover the remaining unpaid balance if the borrower cannot recover from the default. 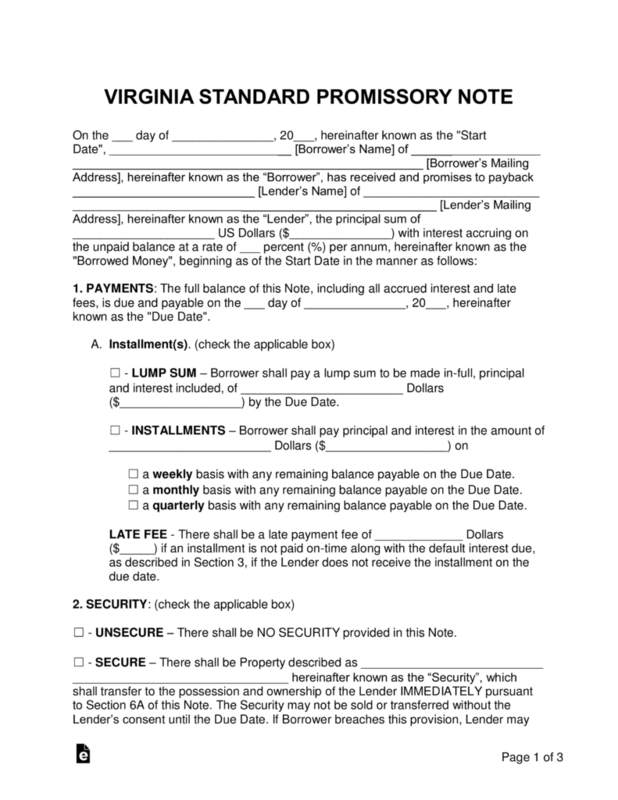 Unsecured Promissory Note – Does not include security, leaving the lender at an increased risk for losing the loaned balance. Lender’s should take their time in selecting a borrower by only lending to family, friends, and/or those with strong credit.